⁠PORSEC 2018 allows you to exhibit your service or product to researchers and industries in ocean remote sensing. You can get an excellent opportunity to extend your marketing activities and also support PORSEC 2018 conference through its sponsorship program. To secure your booking, please fill out the application form, and send it back to the PORSEC 2018 secretariat via e-mail (porsec.exhibition@gmail.com) now. 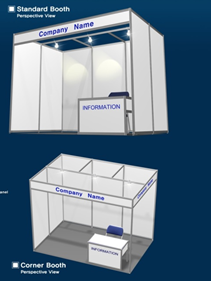 After exhibition application acceptance, we plan to determine the exhibition area in venue and provide the opportunity for exhibitors to choose booth location. The allotment of booths will be on first come, first served basis. – After application acceptance, secretariat will send you two special code number for free online registration by e-mail. Please use it to register through website. – The “Innovation Theatre” is a complimentary presentation for PORSEC attendees to watch some of our exhibitors showcase for their products and services. It is the platform for products launches and where speakers share knowledge about crucial developments in their products. If there are exhibitors wishing to attend, we will offer the Innovation Theatre at some lunch time and near the Exhibition area of PORSEC 2018. Goods should be to arrive at ICC Jeju 29 October – 02 November 2018. They will be stored in a secure locked space free of charge until the conference.